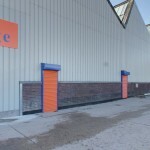 If you are looking for top-quality storage solutions in Knowsley, Terry Lunt Storage can assist as we offer a comprehensive range to suit both domestic and commercial clients.As a family run enterprise, we have more than four decades’ experience in this sector. What sets us apart from others in the field is our total commitment to quality and customer satisfaction. Perhaps these are the reasons why most of our business comes to us via recommendations from delighted clients in the Liverpool, Merseyside regions and beyond. We offer bespoke solutions to match your preferences, needs and budget. In Knowsley, storage solutions provide the perfect answer to keeping things you don’t use regularly safe. People use their lofts, garages or attics for this but there are times when these spaces are not the right ones. For instance, if you’re moving away for a long or short period and you’re letting your home, or downsizing, renovating, conducting repairs, you need to store your things safely. You may also want to store large items, books, furniture, or clothes, that you’d like to access but don’t have space for in your home or office. Additionally, if you’re using your garage to store these things, they’re certainly not safe there. Garages don’t have climate control, nor are they free from dust and grime. If you also park your car in the garage, you could damage something while parking or exiting. Remember that you can reduce your vehicle insurance premium if you use your garage only for parking the car and not cluttering it with a lot of stuff. Select the right storage solutions in Knowsley based on your own unique requirements. We offer different storage units, all of which can be used to store just about anything. Our clean, well-lit, rooms are available in different sizes, with advanced security features like 24×7 CCTV surveillance. You can also use our free trucks and trolleys and get packaging materials. For more information about our different storage solutions, contact Terry Lunt Storage. Our professionally-trained, friendly team is on hand to provide advice and assistance.